Will Israeli actress host 2019 Eurovision contest? Israeli network offers Gal Gadot top spot hosting contest expected to be held in J'lem. 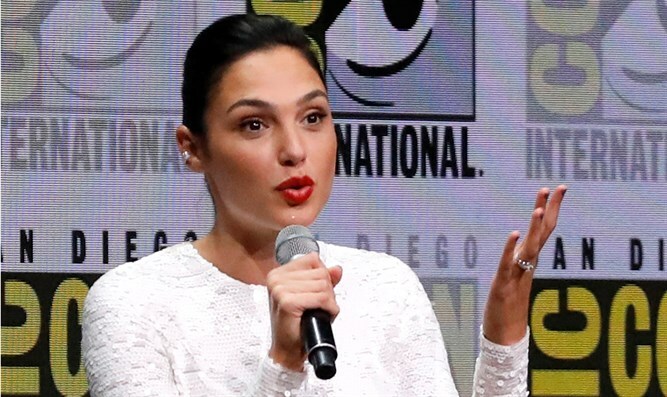 Israel’s public broadcasting company has invited Israeli actress Gal Gadot to host next year’s Eurovision contest. The 2019 Eurovision will be held in Jerusalem, after singer Netta Barzilai won this year’s contest in Portugal. The location of the annual song contest is determined by the country of origin of the previous year’s winner. While Kan, Israel’s public broadcaster, has offered the job to Gadot, the actress has not yet taken the offer. Gadot, whose titular role in the 2017 Hollywood hit Wonder Woman solidified her fame globally, is reportedly working on the film’s sequel. Sources say the 33-year-old Rosh Haayin native’s busy schedule will likely preclude her from accepting the offer to host next year’s Eurovision, though she has not declined the offer as of yet. Winner of the 2004 Miss Israel contest, Gadot later pursued a film career, landing roles in major Hollywood films including the Fast & Furious series, Date Night, and Keeping Up with the Joneses.